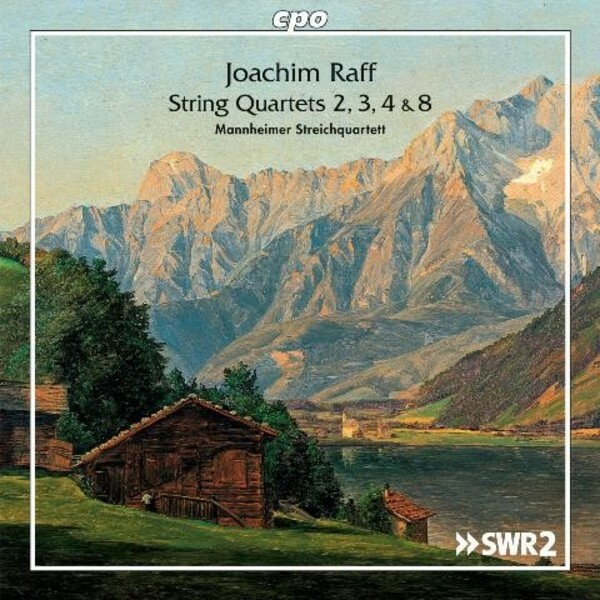 Joachim Raff’s contemporaries valued him as an expert in the history of music and art and as a composer who wove together three-part counterpoint with ease, producing richly coloured instrumentations. Following cpo’s releases of some of Raff’s symphonies and his piano trios, the label now turn to his String Quartets Nos 2, 3, 4 and 8. These works chart an extraordinary period of the composer’s artistic growth - after writing his second quartet in 1857, some ten years passed before he continued composing for quartet ensemble. During the intervening years, Raff had established himself in Wiesbaden, and his productivity had enabled him to make a name for himself as a composer of symphonies, piano and chamber music, and vocal works.